Shangri-la Mactan The Second Time Around! I can't believe we would be going back to this wonderland so soon. 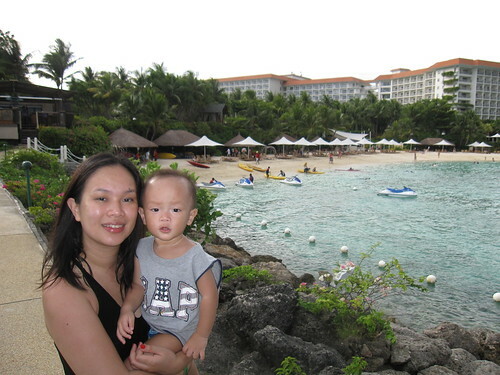 My hubby and I first visited Shangri-la Mactan when I was 5 months pregnant. We didn't want to travel that much then because of my condition so we opted to get a day tour at this place and spent the whole day at the beach and pigged-out. 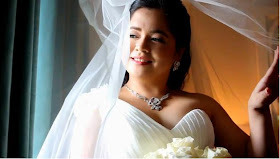 Just recently, we booked a flight to Cebu to attend my cousin's wedding. We weren't planning to go (as another trip this year would be way out of our budget) but I really don't want to miss my cousin's special day and have the opportunity to spend time with my closest relatives so when my dad offered to pay the plane fare, we booked a flight right away! 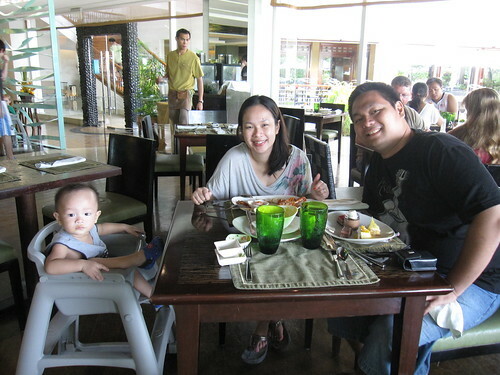 This time, we didn't have that much time to plan for our tip so we decided to spend another day at Shangri-la Mactan. Since, we fell in love with the place the first time and travelling with a very active toddler is quite difficult for me. Nothing really changed except for the price of the day-tour package. The first time we went there it was P2000...now it's P2500. In just a span of 1.5 years I think! I wonder how much it'll cost us when we go back in 2 years maybe??? haha. Still has the nice, solemn atmosphere at the beach. Attentive staff...we didn't even feel worried leaving our stuff at the beach chair. I was glad to see the fishes near the shore again. I'm still amazed that animals there are not afraid of people. 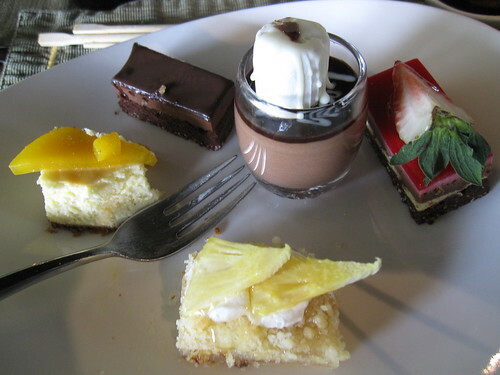 But there are more choices for dessert this time. Yum yum! And oooh! 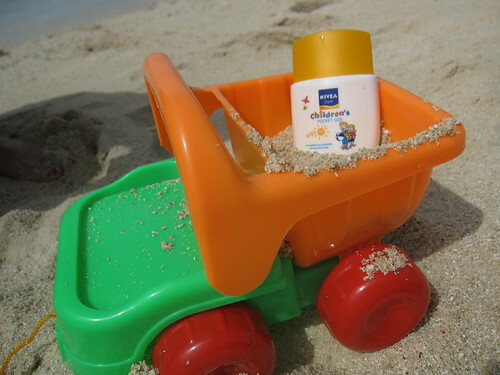 The three of us used the pocket size sunblock from NIVEA. We didn't have any sunburns despite the heat that day. Thanks Nivea! It was another memorable experience with Shangri-la Mactan. We wouldn't even doubt going back there on our next Cebu trip. But when that time comes, we'll have an overnight stay there instead. I bet that's going to be one hell of a vacation! We found out that they offer local rates for Philippine residents that are really affordable. So if you're planning to visit, call and ask for their local rates ok? What a beautiful trip! You have a very beautiful family. Saya! 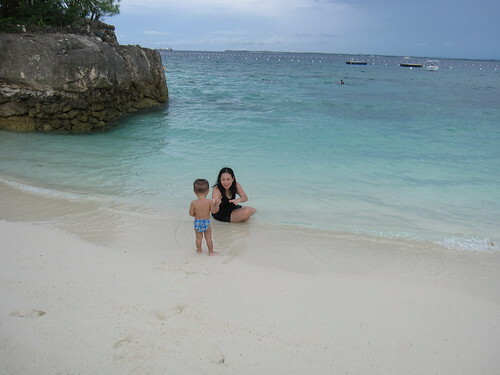 I had a bad experience when I first visited Cebu which made me dislike to go back! basta long story! hahahah Glad you had a great time, I SHOULD give Cebu a 2nd chance!